Yorkshire is very much my home today. T & I have a giggle occasionally as my maternal grandfather was born in Southport but spent his entire married life in Yorkshire and counted himself as a true-Yorkshireman. T’s maternal grandfather on the other hand was born on outskirts of Leeds and spent his married life in Formby. Indeed T’s grandfather loved Nidderdale – Hampsthwaite in that dale is where my Mum was brought up until her parents moved into Harrogate after she went to college. I love the hills of the dales and bleakness of the tops. I will spend hours meandering around just enjoying the scenery – we are so fortunate that we back onto open moorland from our house so can escape the modern world easily. 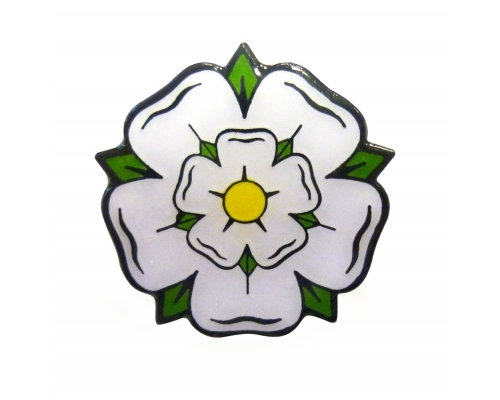 As a guider I am proud to wear the White Rose of Yorkshire on my tab and am proud to be a Yorkshirewoman. Huge Congrats on your approval! !